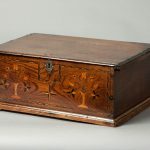 A small and rare oak box which is beautifully inlaid with various contrasting woods, including holly, sycamore and bog-oak. 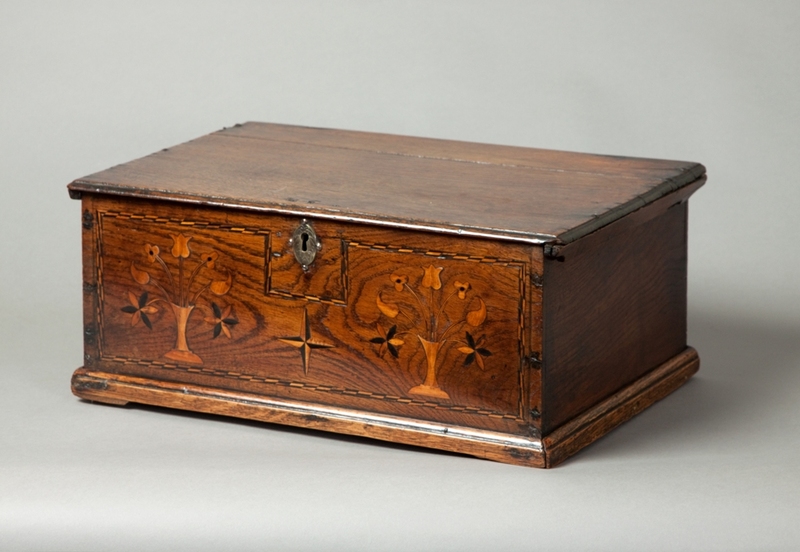 The design of the box, with tulips, commas and flower heads in a vase is reminiscent of the carved decoration found on a distinctive group of 18th century Coffor bach from the Gower in West Glamorganshire. This style of decoration relates to the inlaid tradition found on some furniture in parts of South Wales such as the Vale of Glamorgan, South Pembrokeshire & the Gower.